The brustolina is common in kitchens throughout Italy. 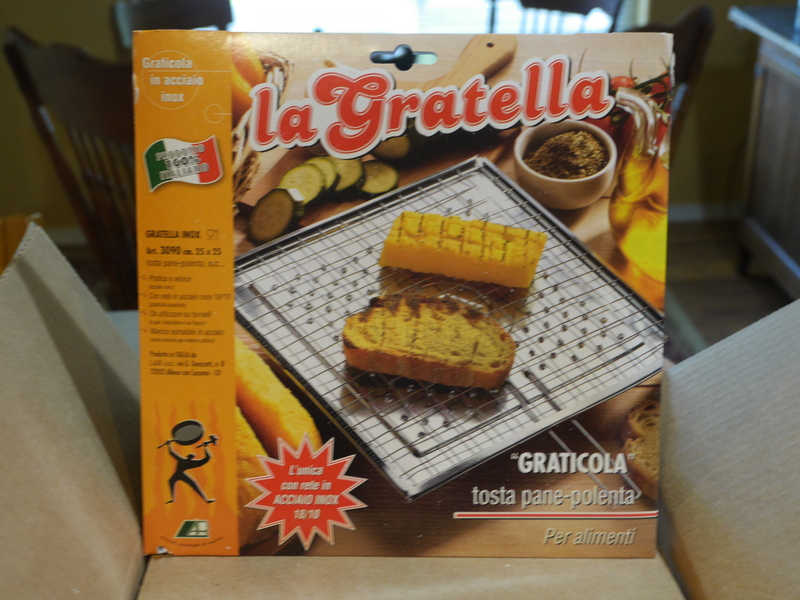 This grill (graticola) is used for more than just a bread toaster (tostapane). On the stove and BBQ the brustolina diffuses heat evenly to quickly heat and toast slices of bread, to crisp bread for bruschetta, to crisp slices of polenta, to roast peppers, and more. It’s incredibly lightweight designed to provide quick and even heat distribution eliminating the need for a high gas flame, making the toaster perfect for RVing. Once done and cooled down, simply discard any breadcrumbs over the sink or trash bin. Since the Graticola is so thin you can either hang the Graticola using the handle on your utensil rack or retract the handle and store it flat in your drawer for easy storage. 4″ long retractable steel wire handle. Stainless steel body and handle. 18/10 stainless steel wire mesh. – add more crunch to bread, rolls, croissants, etc. The Graticola is a perfect example for a basic but highly effective product that worked for generations and simply does not need any “modern improvements” other than the quality of material used for today’s Graticolas. The reason why the Graticola is so effective and distributes heat very quickly and evenly is that the Graticola is rather thin and consists only of a base and a grid that lets the food “hover” closely above the base. Watch out family everyone may be getting one the mail for Christmas!! !